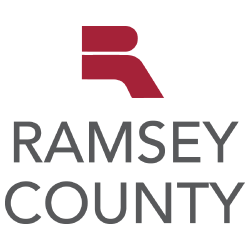 Arden Hills and Ramsey County officials celebrated the completed construction of roundabouts on County Road H and County Road I next to the Rice Creek Commons development. They gathered for a ribbon cutting at the County Road I roundabout on Dec. 18. According to a press release about the rounabouts, they enhance traffic flow, increase pedestrian safety and provide access to the joint Ramsey County and Arden Hills project on the former Twin Cities Army Ammunition Plant in Arden Hills. Arden Hills Mayor David Grant said the completion of roundabout construction is “a big step forward for Rice Creek Commons.” He said the northern 47 acres of the 427-acre development now has everything it needs to begin, such as the necessary utility infrastructure for sewer, water, gas and electric service. Grant said the northern 47 acres of the development are intended for a corporate campus. The location of the corporate campus is easily visible from Interstate 35W and employees would have easy access to the highway; both things are enhanced by the roundabouts, he said. Grant said the next step will be to construct a road that will go through the remaining 380 acres of the Rice Creek Commons site.